Which Kitchen Countertop Edge Should You Choose? After choosing a material for your countertop, the next thing you need to decide is the type of edge you’re using for it. Many homeowners are wondering how a particular edge detail can affect the overall look of their kitchen. And which one they should go for. As they say, it’s the small details that you incorporate into your kitchen that makes it your own. To help you decide which countertop edge to choose, here we’ll talk about the various types available, along with their pros and cons. Simple, clean, and classic. These qualities best describe a straight countertop edge. It’s flat with a just little curve on the top and bottom to make it less sharp. If you want less attention for your countertop and draw eyes to other features of your kitchen, this edge style might work best for you. A straight edge also fits kitchens with a modern or contemporary design theme. As for maintenance, keeping countertops clean is a breeze with a straight edging. There are no grooves that require meticulous cleaning and spills will only trickle down onto the floor. Sleek and simple, this countertop edge features a slight radius at the top. It looks great in kitchens that follow a traditional design. A quarter round edge is also easy to clean with the absence of grooves and spillage finding their way down the floor. A beveled edge features an angular edge. It’s also easy to clean owing to its flat design. The little downside, though, is that it’s not the friendliest on the elbows as it has a sharp edge. But since it has a pointed edge, it also will allow spills to flow naturally onto the floor. 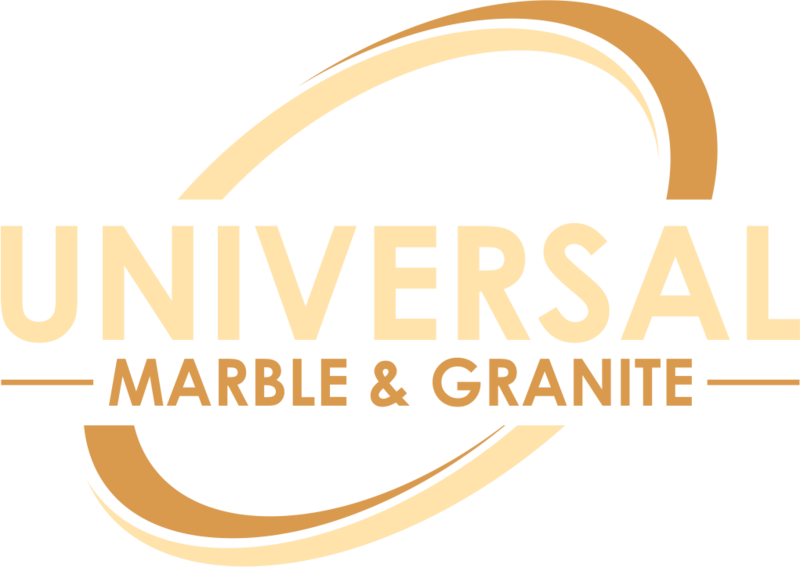 Here are Universal Marble and Granite, we can customize the angle size for your beveled countertop edge. You can choose to have it to a quarter, half, or full inch. The full bullnose edge is a popular edge detail. It features a soft, rounded edge from the top to the bottom. This classic design is usually seen in traditional kitchens but it also works great in any design style. Since full bullnose is rounded at the top and bottom, spills will not trickle down onto the floor. The good news, though, is that this design type is friendly on the elbows. If you have kids that love running around the kitchen, this is also an ideal choice because of the absence of sharp edges. A half bullnose looks similar to a quarter edge only that its roundedness comes at a wider angle. The top part is curved while the lower half has a straight edge. This edge style works great with any design theme and stone material. Whether you have a marble, granite, or engineered stone countertop, you can choose to have a half bullnose edge for it. This edge style is also easy to clean as there are no grooves. The absence of the sharp edges at the top also makes it easy on the elbows. The ogee edge itself has several style variations. You can choose between cove, flat, deep, half, or the classic ogee. If you want intricate details for your countertop edge, ogee is an ideal choice. It feels comfortable on the elbows because of its round edges. However, its grooves make it more challenging to clean. This edge style matches traditional kitchens. It also makes your countertop look thinner. Visit us at our showroom to see countertop edge styles in person. You can also check out our gallery for a quick preview of more edge options you can choose from for your countertops.